We were on a break, but you're my lobster! That's right, y'all. WE WERE ON A BREAK! But I hope you can forgive me for cheating on you with all the crap that was just a placeholder until I found my way back to you. The perfect storm of things leading up to my blog break included, but was not limited to, the gorgeous Georgia summer, work suddenly becoming incredibly overwhelming, lots of traveling and guilt-induced avoidance. What's guilt-induced avoidance? It's a vicious cycle where you start neglect something (namely, my blog), feel guilty for doing so, and then completely avoid and refuse to acknowledge the source of your guilt. 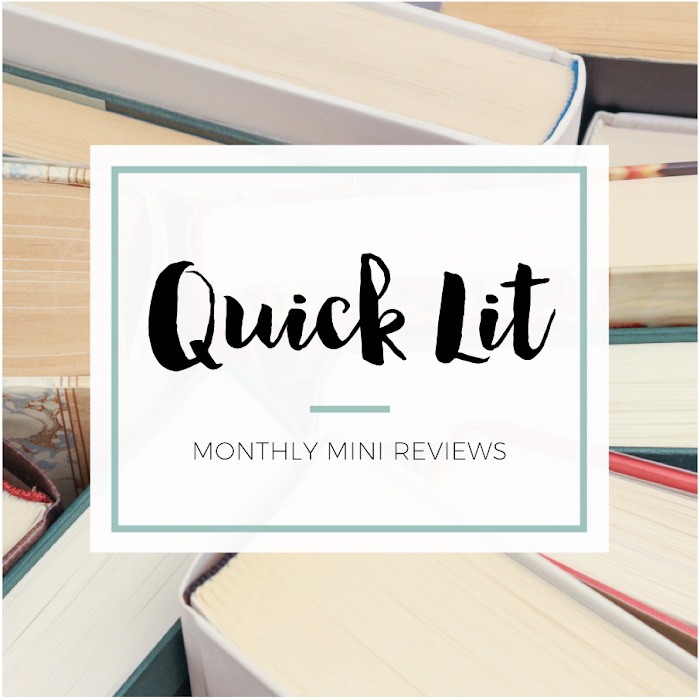 The more books I read, the guiltier I felt that I still hadn't caught up on writing reviews. I felt pressure (from myself, obviously) to write really awesome blog posts... but I also didn't have the energy to write long reviews. I felt bad that I didn't even want to get on Twitter to see what was going on in the world. I just wanted to come home, put on my PJs and snuggle up with my husband and my dog. Usually, words help me work things out. I put pen to paper (or fingers to keys) and write to make sense of things. But, for whatever reason, I just didn't have it in me these last few months. Even still, I really only intended for the break to last a month or two. You can imagine my surprise when I looked at the calendar recently and realized that it was already December. There wasn't anything really wrong - I was just stressed and needed to take a step back. I needed to let the blog go to be reminded that we're obviously meant to me. Yes, despite our break, you're my lobster and I still love this little corner of the world. In my months without blogging, I remembered how much I love to just read. No expectations, no rush... just reading for the pleasure of it. But I also remembered how much I love to talk about what I've read. I felt the blogging itch almost a month ago, but I wanted to let a little more time go by to see if it stuck. I didn't want to start blogging again unless I knew my heart was going to be in it. Lisa from Lisa is Busy Nerding took a blogging sabbatical not too long ago, and I've read her return post a few times now. If I could write hearts in the margins and circle big sections, I most certainly would do so. I need to make changes. Changes for how the blog fits into my life and how my life fits into the blog. Changes on how often I post and what I post about. Changes for what I read and how I read it. Changes that will prevent future burnouts and result in a sustainably happy Lisa. AMEN, SISTER FRIEND! I'm so with you on this, lady. Just substitute "Hannah" for "Lisa," and I couldn't have said it better myself. A few well-timed Twitter conversations, and I knew for sure that it was time to make a comeback. I promise you not to make any promises. I'm posting when I want about the things I want. If I don't want to write about a certain book, I'm not going to. If I want to gush for three days straight about a book that's THE BEST THING EVER, I'm going to do that, too. If I'd rather watch Grey's Anatomy instead of read, I will. No guilt, no pressure... just lots of the things I love! Yay!! So glad you found a way to make it work for you...because, obvs you were missed. :) Happy you're feeling up to blogging again! Thanks Jess! So excited to be back - can't wait to catch up on all your posts I've missed! WELCOME BACK! Mostly I'm happy that you're doing what YOU want to do...and also that it involves your blog in some way, shape or form. But the truth is that you should NEVER feel guilty for doing things you want to do! Obviously your fan club isn't going anywhere so that's a good thing. I'll totally be happy dancing foreverrrrrr with you. And I really loved your post when you came back from your break - totally inspired me! OH YAY! I'm so happy about this! Yay for breaks and yay for blogging for YOU. Can't wait for you to obsess about things again on le blog! Thanks lady! Can't wait to see what you've been blogging about while I've been gone. I've missed SO MUCH! Thanks girl! And I hope your plan works for you, too. It's so much more fun to blog without all the pressure I'd been putting on myself! Thanks Brie! I'm so happy to be back - and I feel so much better about blogging. I'm glad you missed me :) I'll be catching up on your blog soon! HIIIIIIIIIII! My official comment on the blog. AHHH! I'm so excited. SO very, very excited! You really did make my night. Blog breaks + blogging at your own pace + doing YOUR thing + blogging when you want to are ALL OKAY. So happy you're back. Missed you oh so much. Thanks sweet girl! You're the bomb :) I seriously love your excitement - you're getting me even more fired up about blogging again! Can't wait to read what you and Estelle have been up to (and reading!) while I've been on my break. YAYYYYYYY!!!! I'm so glad that you're back!!! I've kept popping back to see if you had anything new on the blog, and have been meaning to send you a message on Twitter for some time now. But I'm thrilled that you're back. 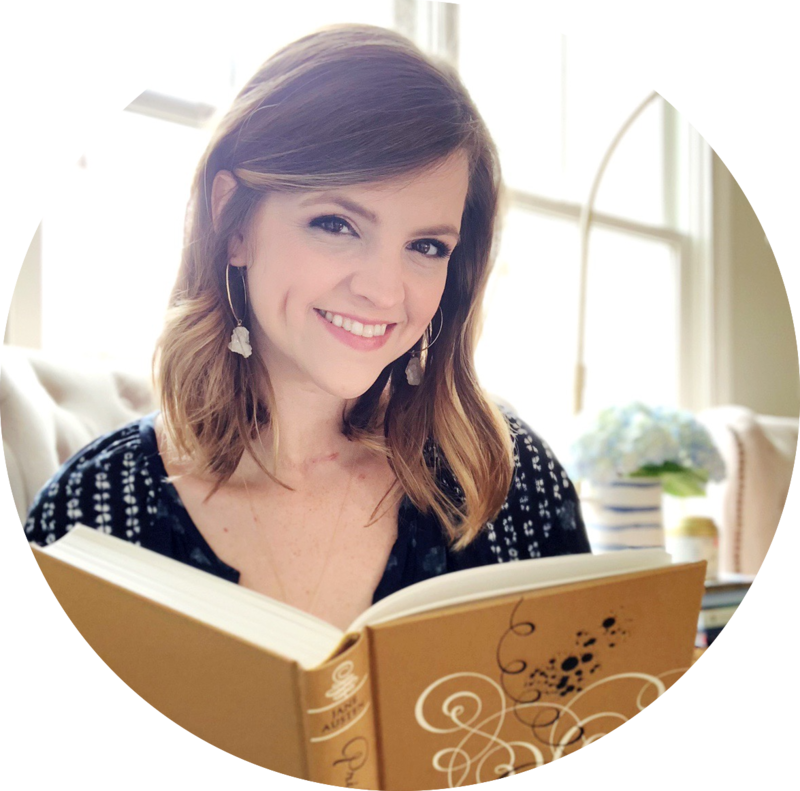 It sounds like you have a very level-headed approach to blogging -- make it about you and what you want to do, rather than what you think other people expect. Because, really, at the end of the day, we blog because we want to, and if it's not fun then what's the point? So yay! Again. And I think you should post some pictures of your puppy, who I'm sure is even more adorable than the day that you got him! Thanks Melissa! I can't wait for your sweet baby to be born. YAYAYYYY February! I'm so glad to see you back, and that you are 100% approaching it in the right way! I'm a big proponent for making your blog what YOU want, and not letting all of the pressures (yes, mostly from yourself) take over your enjoyment of it. Glad to see you back, but glad you took time to refresh. Cheers! YES! The pressure I put on myself was ridiculous - and I just felt so burned out because of it. You're way smarter than me for having already figured that out :) But glad I'm catching on - I missed blogging in the end! A. Welcome back! Missed you! After 3 months I thought you were gone for good. B. Thanks for finding me on Twitter. C. I feel ya and am SO glad you've decided to come back and do things at your pace. Bravo! That's the only way I survive. It has to be when I want how I want. On my terms. Otherwise, it's too much of a chore. Thanks Juju! I thought for sure I was gone for good! But I'm glad I ended up feeling refreshed and ready to come back to blogging. So happy to have found you on Twitter! And yes, I'm ALL about making this fun and not a chore. I don't want to put pressure on myself anymore! I'm glad you're back! I'm kind of on my own blogging break right now -- aka Baby Takes Over the Life and There is No Time to Even Pee -- but I know what you mean about really enjoying reading just for pleasure again. Now that my time to read is so limited, I only read exactly what I want to read -- and I really value every minute. I really miss having the time to write my thoughts about books, but I think once baby boy is a little less demanding and I have that time again I will just appreciate it all the more.